Low GMAT MBA success stories - some of our best work! A low GMAT score may lead to failure, but it may also lead to success if dealt with in the right way. We offer some advice. We think it is important to set the context here. How is a low GMAT score really defined? For some people, a GMAT score below 700 is too low. For others, that figure is 650 or even lower. The truth is, your GMAT score is low or high in relation to the programs you are targeting AND how your profile fits with that program. For instance, a non-profit professional applying to Yale with a lower GMAT score might still have as good a chance of getting in than an IT developer with a score 40 points higher. So look at your own score in the context of what you are aiming for. There are things that you can do with low GMAT scores and things you can’t. A score of 650 with an otherwise strong profile and excellent application might be good enough to even get you into schools that have 700+ GMAT averages. On the other hand, a 560 (for example) is too low to be compensated for by other factors. In such a case, there may not be any other option other than a retake. When it comes to B-school admissions, diversity matters. Belonging to an over-represented pool will affect your chances somewhat (although it won’t kill them). Having a low GMAT AND a low GPA is much worse than having a low GMAT alone. No evidence of any distinguishing factors on the extra-curricular front is another red flag. These are only some of the factors that count, but an honest assessment of your own candidacy along these is critical. Take the help of a professional – an admissions consultant, if you will – to help you assess where you stand. Taking on a low GMAT score will require strength along other parameters in your profile (including your essays and stories, which are in turn based on what you have done), and you need to make sure you have this. 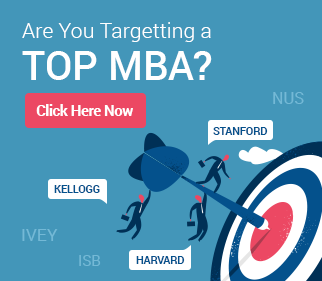 MBA admissions are never a matter of throwing your hat into the ring. You must be prepared to present a candidature that outdoes that of other candidates. This exercise will also be helpful in terms of making you aware of the key things on your profile that make you a great candidate and a good fit for top schools. This is easier said than done. As always, go with value, not simply prestige. Harvard / Stanford / Wharton are not the only programs that can help you make it into top-tier consulting firms. Tepper is not the only school that is encouraging of IT applicants. Fisher is not the only state school with a decently ranked MBA program. If you have gone through step 2 above properly, you should be confident by now that you can make it to programs that have GMAT score averages significantly above your score. Be prudent, but do not be afraid to be ambitious. So you have measured the scales carefully now. This is the most important stage of all – go for your MBA applications full throttle. This is the stage for you to understand that every year, for every school, half the applicants fall below the median GMAT (this has to be true always by definition) – and still make it through on the basis of the strength of other parameters! Around 20-25% of these also fall significantly below the median and even the average and still make it. You have every reason now to make the best of what you have. Work, rework, review, rework, and review your essays once again – they are going to be the key vehicle propelling you to success. Talk about your potential contributions to the school once you are part of its student community. Discuss your career goals with all the clarity that you have, and talk about why the school is such a great fit for them and for you! It is exactly these factors that have worked for other applicants in the past – make them also work for you! Unless you really have a worthy explanation there, don’t bother ‘explaining’ your low GMAT by saying that you want to take it again but don’t have the time. If you wanted to, you should have. Good intentions, in this case, won’t get you very far. – AN gained an admit to the Indian School of Business (ISB) with a GMAT score of 660, and an engineering (read: ‘typical’) background. Read his story here. – VP got into the Queen’s MBA (Canada) in spite of a GMAT score that was less than even 600 (the average GMAT score for Queen’s is 665, more than 70 points above this applicant’s score) and also managed to get a scholarship! Click here to read more. – VC got into the Indian School of Business (ISB) MBA with a GMAT score of 680 and only one year of experience (ISB requires a minimum of two!). – DC got into the Richard Ivey School of Business (Canada) MBA program with a GMAT score of 610 (the Ivey average is 662). 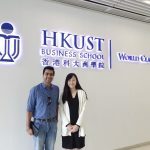 – SM made it to the IMD MBA with a GMAT score of 640. SS made it with a score of 660. The IMD GMAT average is 676. – AS made it to INSEAD with a GMAT score of 670 (low by INSEAD standards). 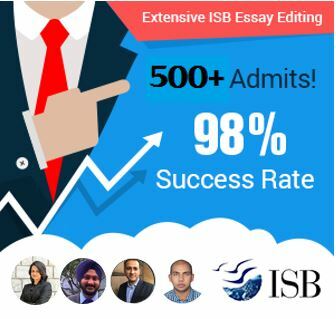 MBA Essay Tips: Avoid Indianisms! I am captain in the merchant navy presently working as HOD DP training at Yak marine. Age 31, GMAT score:620. I have shortlisted 3 schools IIM-Lucknow, IIM-Indore and MDI that i wish to apply to. I wish to know if your team can help me with the application process.